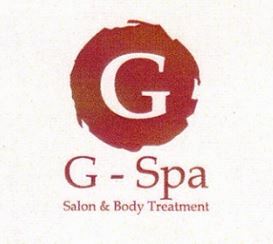 Have a massage treatment for refresh your body and soul at the G-Spa Bali. One of the largest spas in Denpasar Bali, has been designed with a strong influence of Balinese & Healing system. Enjoy the rituals of journey through sacred Eastern traditions of health and beauty. Get 30 % discount on the publish rates here !!! Herbal massage with the touches of our therapeutic massage using steamed herbs pack. The herbal pack contains a blend of specific natural Indonesian herbs believed to have medicinal and healing herbs. The application of this essence in massage is intended to relieve sore muscles and tired joints, strengthen your body immune system and reactivate energy flow, and make you feel better. Enperience a short relaxing hand or foot massage, filing and shaping of the nails with a color or clean enamel applied , many different colors can be chosen. This massage is base on Balinese tradisional massage using acupressure teckniques of Balinese touches and relaxing stretching in order to improve blood circulation and tired aching muscles. 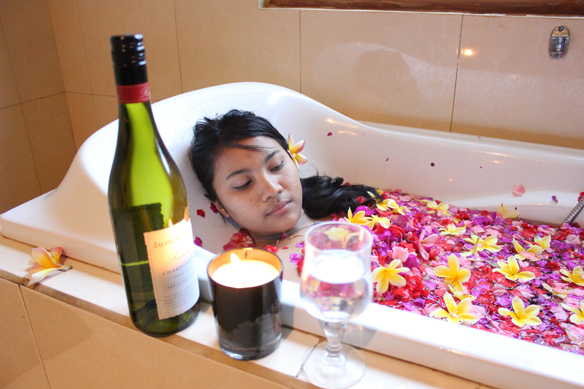 After massage will continue with body scrub to make your skin clean, flower bath and served with Bali wine .